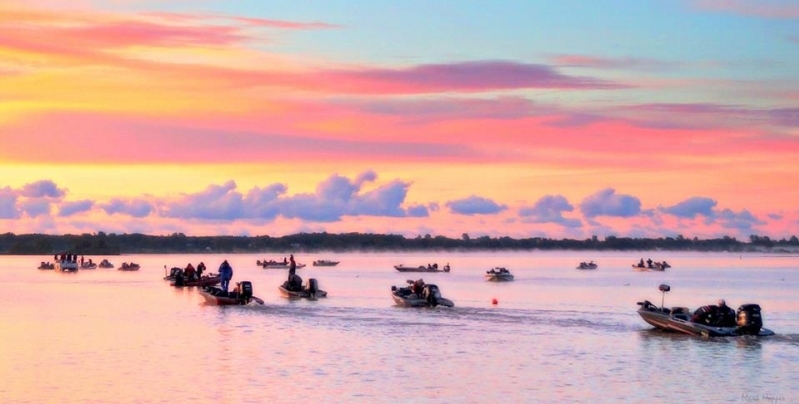 We had a great weekend on patrol as a safety vessel for the 2016 Kiwanis Walleye World tournament. 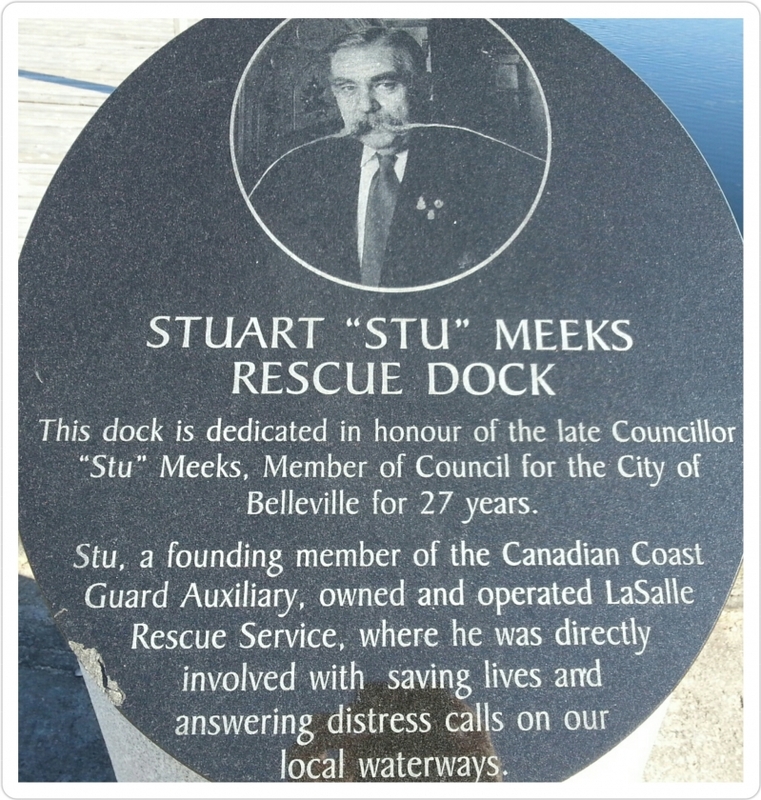 Stu Meeks and family were the original volunteer marine rescue unit in Quinte. Stu saved countless lives and vessels in his many years serving our community. 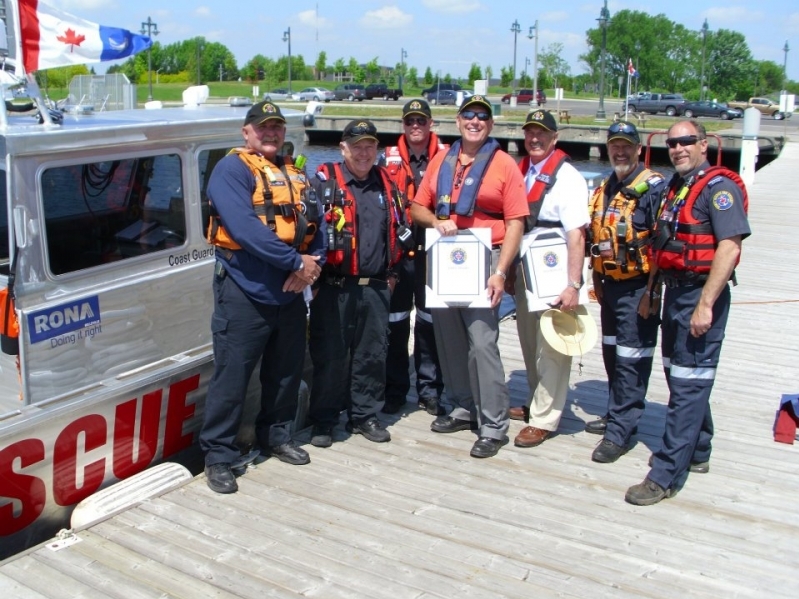 The legacy of LaSalle Rescue continues today with Quinte Search and Rescue. A wonderful day christening our vessel as the Bruce A. Sutcliffe. The grand daughter of Lt. 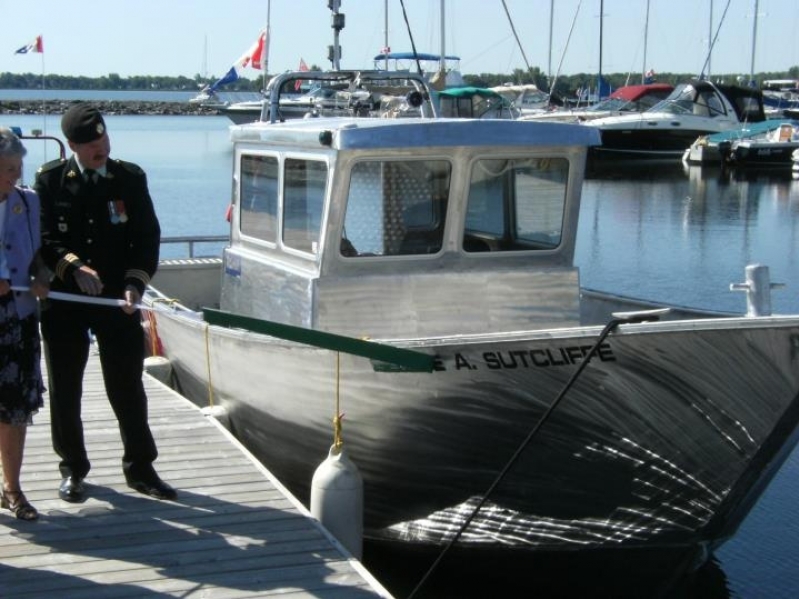 Colonel Bruce Sutcliffe performs the unveiling of the vessel named in her grandfathers honor. We were very proud and honored to have so many members and veterens of the Hasty P's in attendance for the christening of the Bruce A. Sutcliffe. 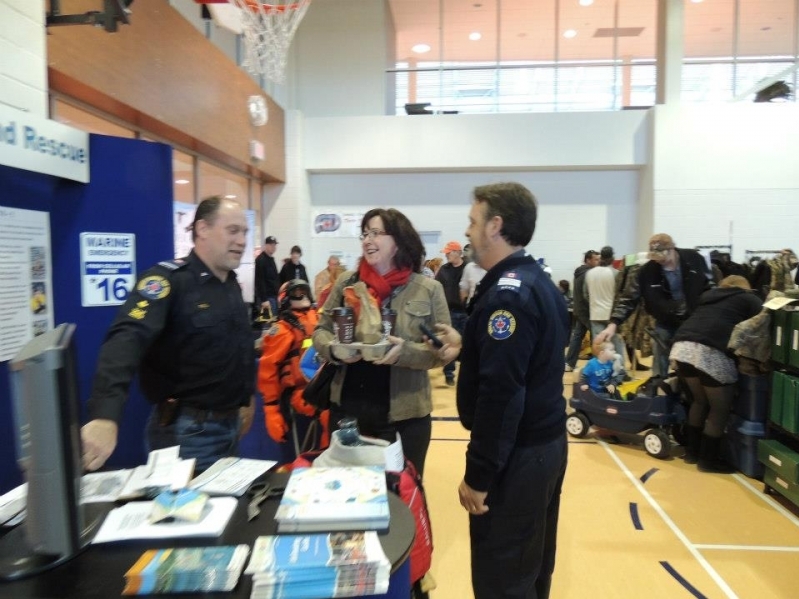 We always have a great time speaking with public at the Quinte Sportsmans show each year. M.P.P. 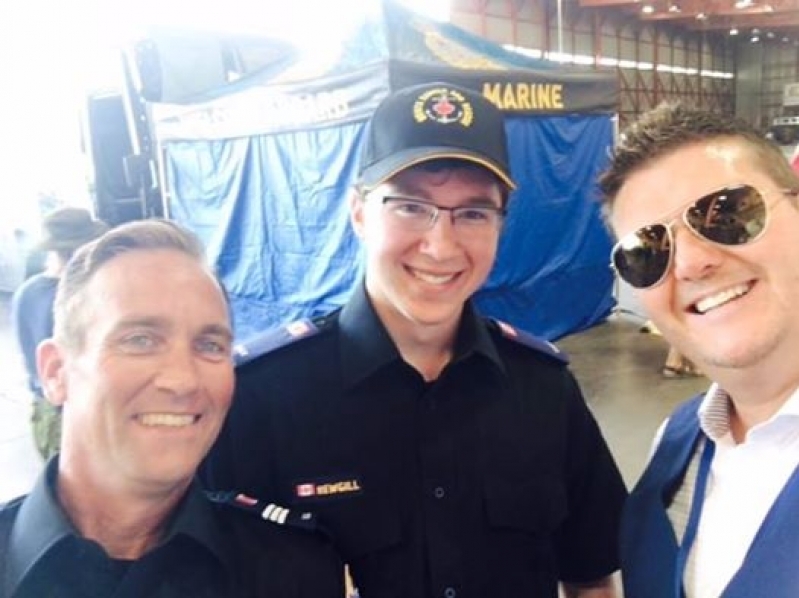 Darryl Kramp gets indoctrinated as an honorary member of QSAR. 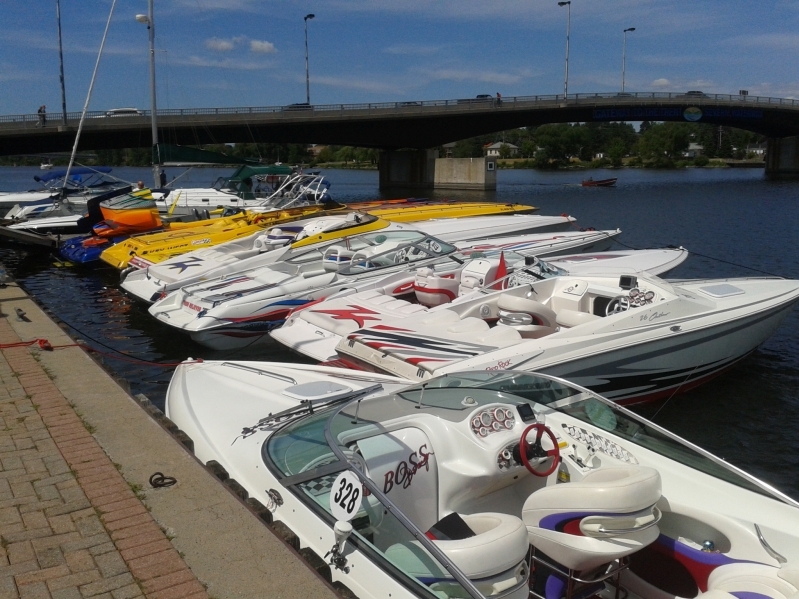 The 2015 Bay of Quinte Poker run contestants and us taking a quick lunch break before blasting off again. 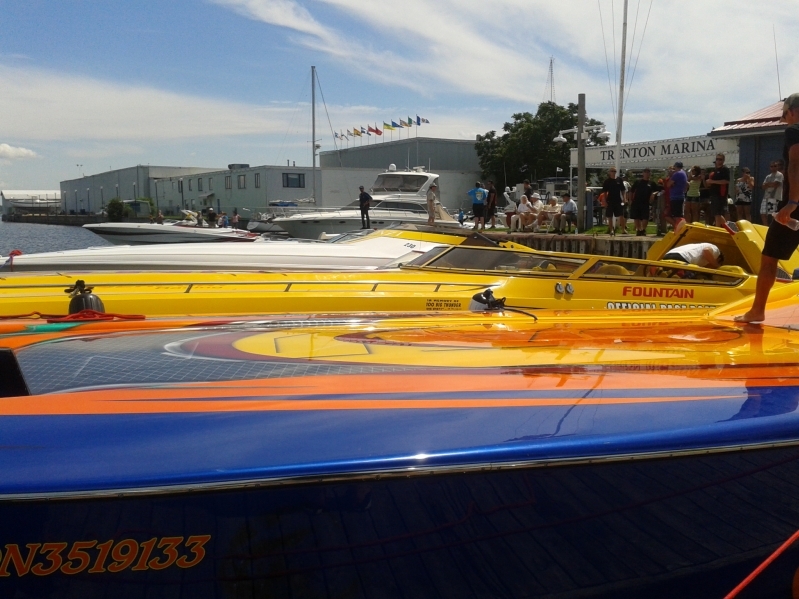 Some really fast and beautiful boats were in the 2015 Bay of Quinte Poker Run. We're looking into one of these for our next "fast rescue" vessel. 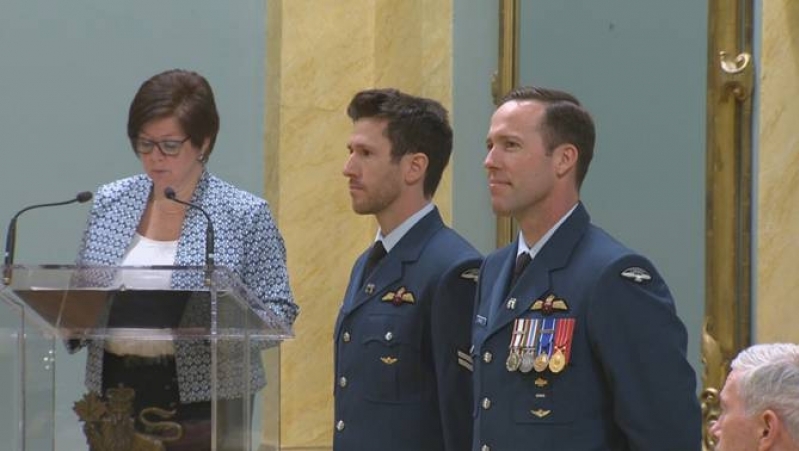 Bruno Robataille (L), a former QSAR member and SAR TECH with the Canadian Armed Forces, receives the Governor General's Award for Bravery in 2016. 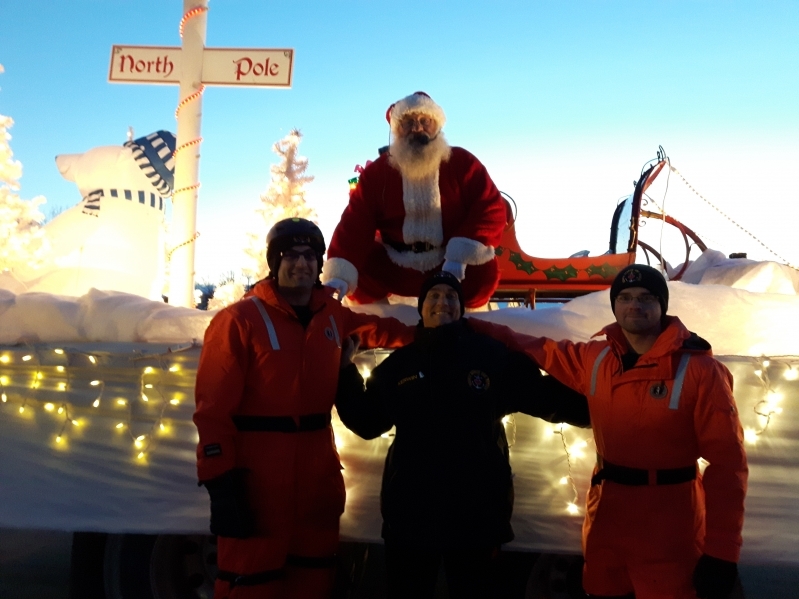 Bruno and his teamate absailed out of a Griffen helicopter in the Arctic, in severe cold and hostile weather conditions, to rescue two fishermen who were trapped on an ice floe and injured. We are very proud to count him among our ranks! 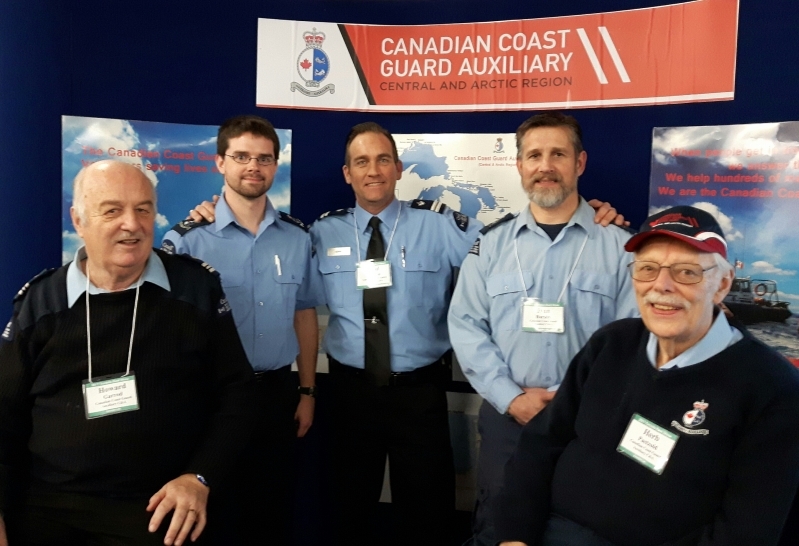 We are always honored to spread the message of safe boating, and to represent the Canadian Coast Guard Auxiliary Central & Arctic Region at the Toronto Boat Show and other community events. 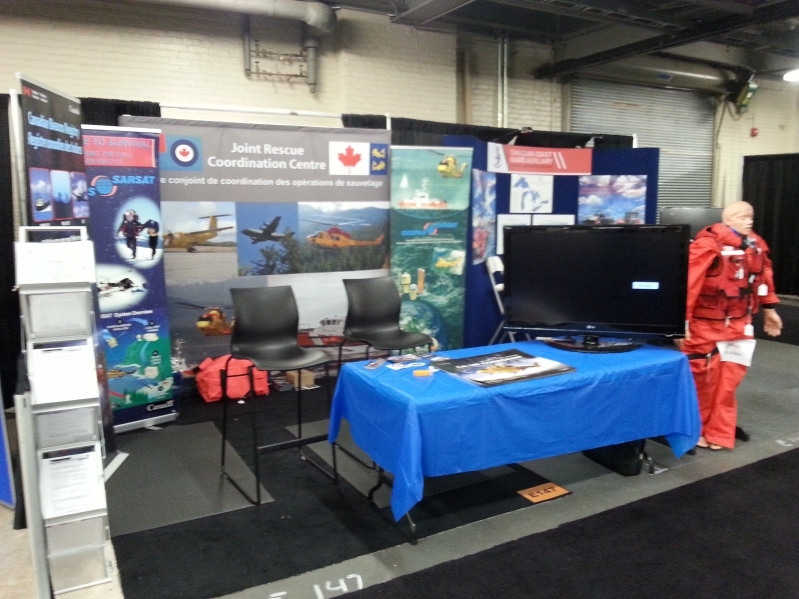 A snap of the Canadian Coast Guard Central and Arctic Region booth at the Toronto Boat Show. Pop by and see us when you are there. We attend every year! Stopped in to see a good friend and supporter of QSAR - John Cairns...at his Wheelchair of Hope booth. He's a great man and we encourage you to support his amazing charity! Making a presentation and giving an update on QSAR to Quinte West City Council. They have been amazing supporters of QSAR! Making a presentation to Quinte West City council for funding of our new vessel. 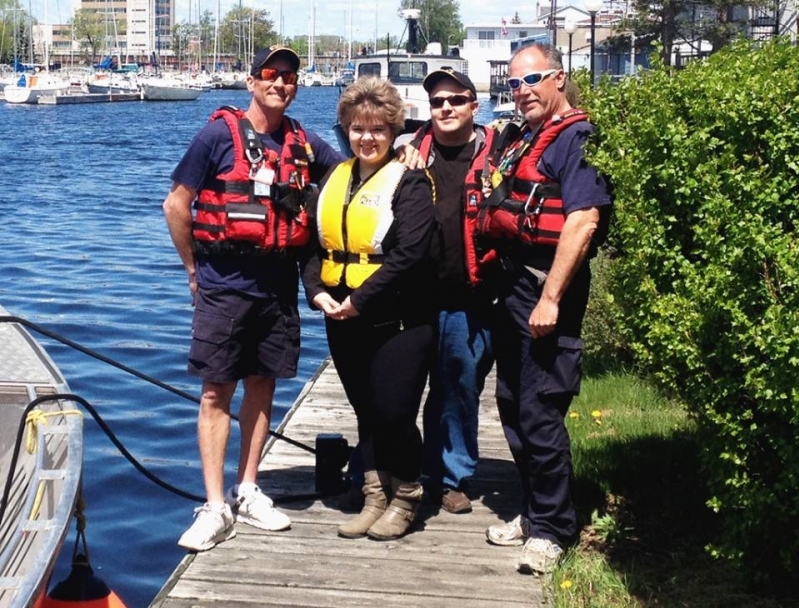 Amanda Lorbetski from InQuinte.ca enjoyed her time on the water with us, as we demonstrated some of our training for her. 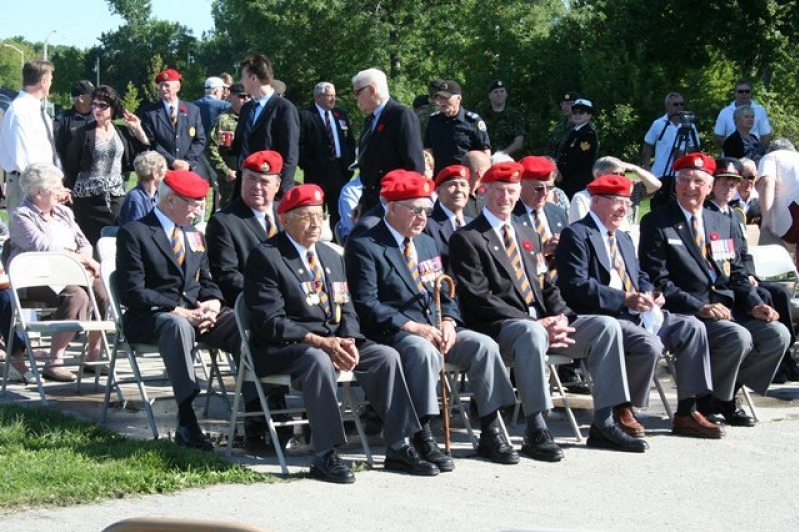 InQuinte.ca has been awesome and provided many great articles on our unit. Thanks gang! 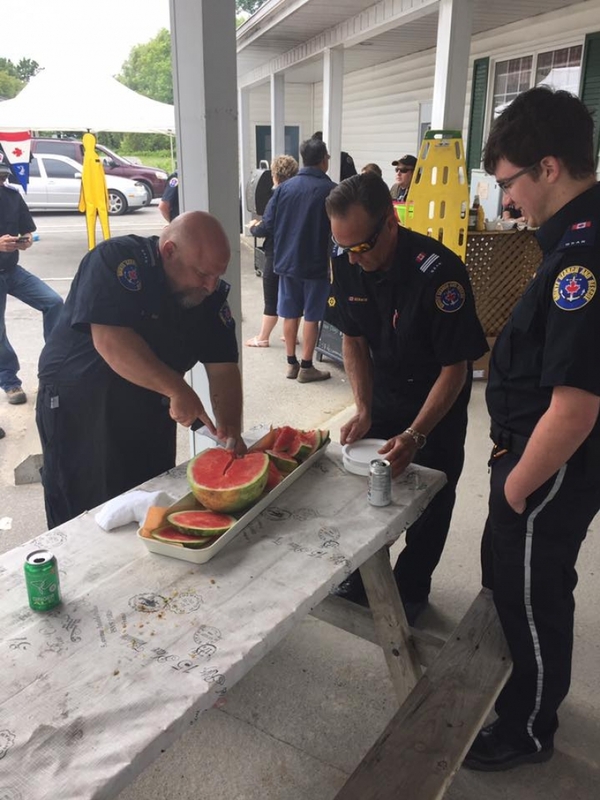 James getting the juicy watermelon ready for all the hungry folks and kiddies at our 2016 BBQ, held at Gilmour's Meats and Deli in Rossmore. They have been great supporters of QSAR...and have the best cuts in town! Thanks Wyatt and Team : ). 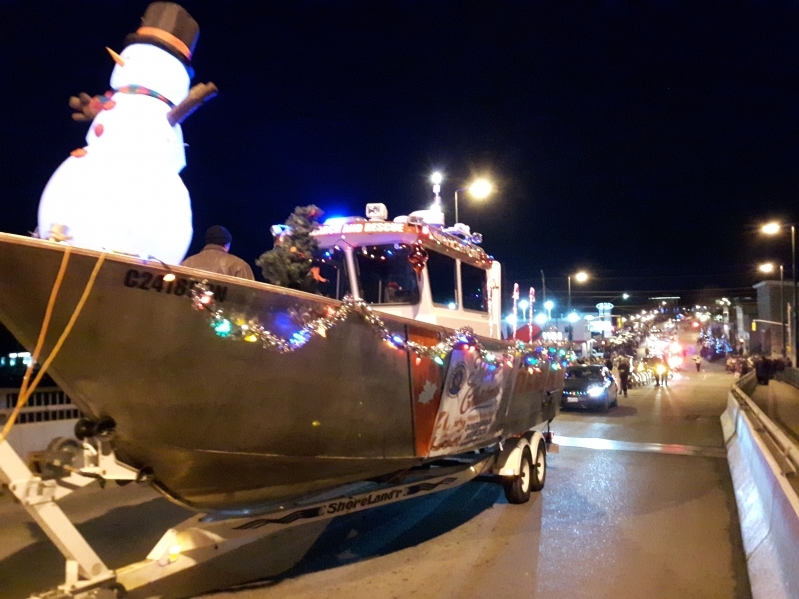 A picture perfect night crossing the bridge in Trenton during the 2016 Santa Claus Parade. We had a great time! No coal for these rescue volunteers. Santa said we were on his nice list!